Where did FRED’s excess reserves stats go? 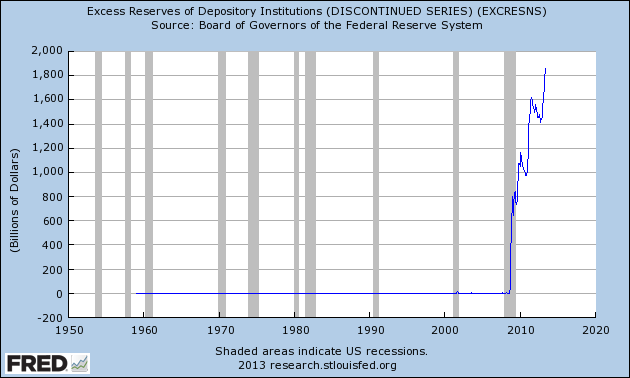 I always liked the data series Excess Reserves of Depository Institutions (EXCRESNS) at FRED. That is why I was quite disappointed when I found out that the series was discontinued (see below). 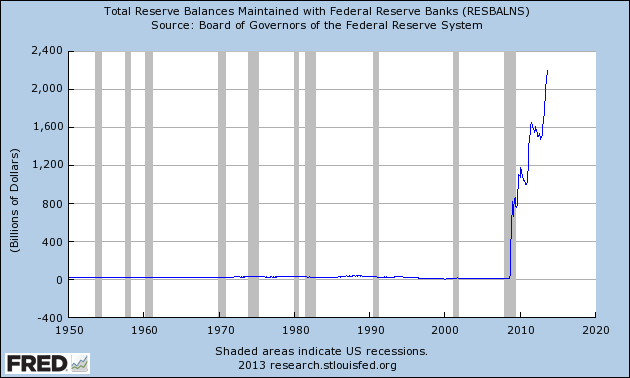 Today, I found out that there is another series that replaces the excess reserves series: Total Reserve Balances Maintained with Federal Reserve Banks (RESBALNS; see below). Since excess reserves are a sign of financial trouble, this graph might be one to watch for a return to normal as the Fed will unwind its asset side at some point in the future.